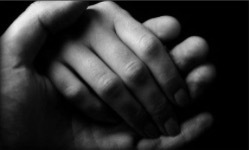 ​Are you interested in helping others find emotional and spiritual healing? Do you have the gift in providing healing presence? Do want to find meaning and passion in what you do? Do hope to grow more in your calling? Then join our team and experience a more fulfilled life in your vocation. 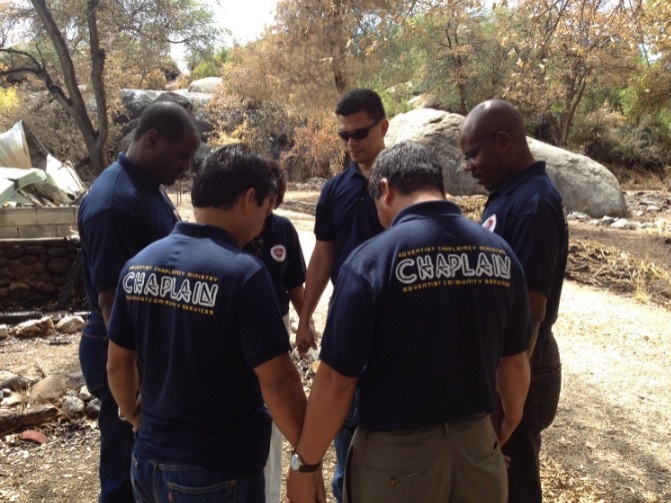 The Community Care Chaplains is a community of spiritual care providers that continue experiencing their own growth and healing as they serve others. 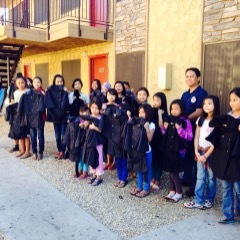 Coat distribution in Phoenix, AZ: Keeping our refugee friends safe and protected. The Community Care Chaplains has partnered with the Soles for Souls in giving away shoes and coats to refugees in Phoenix to reach out to the growing population of refugees in Arizona. 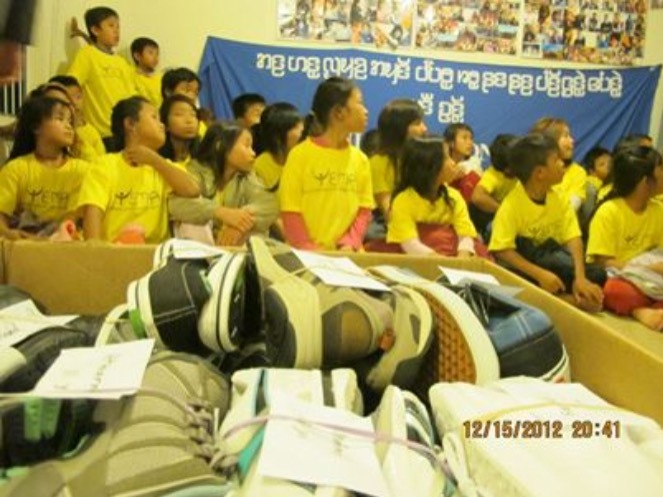 The group of children we helped this year come from Myanmar. CCC continues to provide ongoing pastoral care, education, and support through our chaplaincy program. You don’t want to find out from the news what happened to your neighbor. You are here, your neighbor needs you. Have you heard of Sharon who’s done looking for another sunny day in the morning, swallowed by dark depression? She could be your next door neighbor. 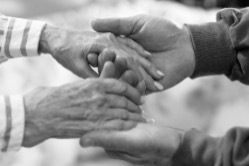 Despite her debilitating disease, her gloomy past, and present uncertainties, she found footholds of care and pastoral support through a trained lay chaplain committed to hold a sacred space for her. Community Care Chaplains is committed to build a workforce of clergy and lay people who respond to the need of our world, which tends to grow colder each day. Your pastoral presence, your touch of compassion, and your quality time shared with your community can change this world one person at a time. If you are interested to join us please don't hesitate to contact us. Joining the immersion team of the Community Care Chaplains and the Asian-Pacific Ministries of Arizona Conference to understand the daily challenges the refugees from Myanmar face is a life-changing experience for me. Eating, praying and sitting with them on the floor as we listened to their struggles led us to see why their voices needed to be heard by others. For instance, forty-two Karenni refugee children didn’t mind squeezing in Phary Reh’s small apartment as he dedicatedly taught them songs. Singing helps them transition from the Asian jungles to the tough urban life in Phoenix, AZ. We have witnessed how young refugees used music and arts to express their unshed tears and as well as their hope to see a bright tomorrow. Phary, one of the few English speaking refugees, knows that musicality flows in their blood and that is a tool to instill the moral values he believes the children need should they want to survive in their new inner city environment. Because music and arts have become the place of healing and transformation for these young refugees, the Community Care Chaplains and the Asian-Pacific Ministries of the Arizona Conference organized the Youth Empowerment Through Music and Arts (YEMA). YEMA aims to empower the young refugees from different ethnic groups of Myanmar such as the Karen, Karenni, and Chin currently residing in Phoenix, AZ. Through music and arts, the program aims to provide better opportunities, environment, and decision-making in the future. YEMA Phoenix 2012 kicked off on October 21 and ends on December 9, 2012. In this particular program, the refugee children will be taught vocal and instrumental lessons which will then culminate in a benefit concert to be held on Dec. 16, 2012, themed “ With One Voice, We Sing”. They will also be participating in inspirational talks and leadership training. The theme’s relevance stems from the objective of letting them find their “voice” and helping them be “heard”. Their plight as refugees had never been easy from the beginning. They now face the battle of reality as they navigate life in the American cultural setting. We need your support. To find out ways to join us in this endeavor please visit YEMA.